Your Satisfaction is most important to us. Our products are thoroughly inspected by our shipping department to assure that your garment is in perfect condition. Please consult the size chart for the right size and if you are between sizes order the bigger size as is easier to take in a dress then let it out. Try on your dress as soon as possible without moving the tags altering or washing dress, if for any reason you are not completely happy with your dress, please return the dress to us in its original condition within 7 days of receiving it and we will offer you a full refund delivery not included, or an exchange for a different colour or size. If you are returning or exchanging your dresses please note that all returned dresses should be carefully inspected. Any sign of wear, any amount of smell, stain, pet hair, missing or sign of wear on tag will disqualify for exchange or refund. Dresscode store outlets will not accept any returns or refunds for dresses that were purchased online. 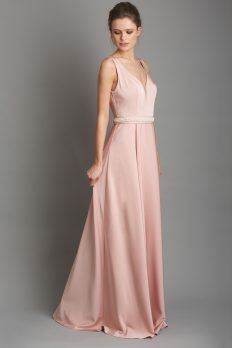 The dress is the customer’s responsibility until we receive it. We advice that you send the dress using a delivery service that insures you for the cost of the dress and lets you track its location. Please allow 12 working days for the dress to be refunded to your account.